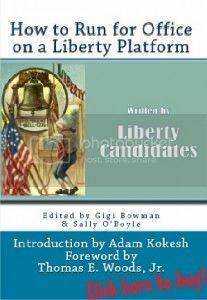 On 9/10/11 at LibertyFest NYC http://www.lfnyc.com we will have the book Release of “How to Run for Office on a Liberty Platform” written by Liberty Candidates and edited by Gigi Bowman and Sally O’Boyle. This will be your only opportunity to get your book signed by Tom Woods, Adam Kokesh and a host of Liberty Candidates who will be attending as speakers. 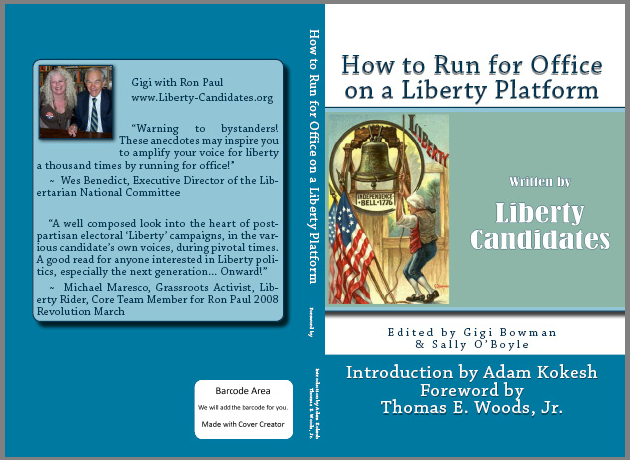 Foreword by Tom Woods author of Rollback, Nullification and Meltdown. 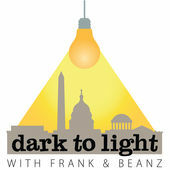 Nuclear Iran? Not Likely, and Not Our Business!